Prior to scanning a microaray slide, it is necessary to remove all wash buffer. This drying step is critical to obtain the best possible scanning results. 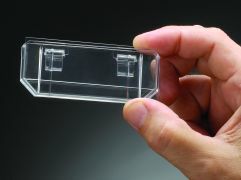 Labnet's new Slide Spinner dries 2 microarray slides within a 10 seconds. Simply insert your slides into the cassettes and close the lid. 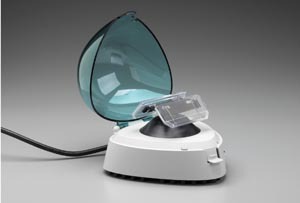 This Slide Spinner quickly accelerated to 4800 RPM, the optimal speed for quick drying without any splashing. Open the lid and the rotor comes to a stop and the dry slides can be removed. The cassettes catch all of the liquid, and can easily be removed, and the liquid can be poured out.